Below you will find an extract from the April 12th newsletter. To read the full newsletter click here. Did you know you can have rolled anything? Four Leaf roll rye grains, spelt grains, rice grains and barley grains as well as oat grains. I sell them all. I especially like to soak a mixture of them overnight then cook in the morning. You really can’t beat whole, rolled grains (soaked and then cooked) for nutrition and taste. It is way better than always having oats! It only takes a moment to sign up for my May sourdough workshop and you will never regret it! I don’t go in for fussing about with food but everything I eat has to be fabulously delicious, the very best quality and the most healthy. Can you say that about the bread you eat? If not, then come to my workshop and learn to make easy, foolproof, nutritious, delicious sourdough and cultured butter with me, in my kitchen. Read about my sourdough workshops here. Thanks to all those who came out in the drizzle last Sunday and visited our Pumpkin Festival Stall, where we had pumpkin soup and pumpkin scones for $2 each, raising money to help send a young man in Kenya to The International Permaculture Convergence in India later this year. We raised $300 and it has been donated to Yongo. He asked me to tell you how much it means to him to have people on the other side of the world trying to help him. If you can donate a little more to help him reach his $3000, then please do so by following this link and reading his story. Hugh is now part of Room for a Pony, in Elizabeth Street, Hobart, where he is bringing to Hobart many of the goodies you have come to love from him in Cygnet! His time at the Cygnet Market will soon end so come along and indulge at this Cygnet Market where he will have his fantastic breads, cakes and pastries FOR THE LAST TIME!!!! Gotta love that boy of mine who is the hardest and most efficient worker I have ever known! Popping Corn, Lentils, Peas and more! You will love my expanding range of AUSTRALIAN PULSES etc. I now have black beluga beans and white pearl peas, as well as red and green (Puy style) lentils. As well as Four Leaf regular, organic, Australian mung beans I also have some seconds of their split mung; seconds because some of them did not split properly as they are just trialling the process. I have Four Leaf split yellow peas, for a hearty soup. I also have fava, borlotti and azuki beans. See below for recipes and ideas. Four Leaf, organic, Australian popping corn is now back in stock. All these are so cheap and so good for you! The Garden Shed and Pantry now has credit card, debit card, chip and contactless payment facilities! Square is a simple and cheap system suited to every form of transaction. It may be cheap but it is not free, so I would still prefer cash but no longer will there be any inconvenience if you do not have enough cash with you! Home shop open times are on the photo at the top of the newsletter. It has been an anxious time for me, being out of quinoa and having to wait for the farmer to harvest, sort, pack and send it from Kindred, in northern Tasmania. Also from Henriette and Lauran, the Kindred Organics farmers, I now have buckwheat flour, whole linseed and rolled oats, all organic and low in food miles. Other Tasmanian goods: From Callington Mill at Oatlands I have organic, sifted spelt flour, delivered by Smithy straight from the mill. I use this half and half with the Four Leaf rye flour to make excellent sourdough bread. Spelt is wonderful for pastry too. And then there’s the Tasmanian honeys, of course! Solid brass. Last a lifetime. I am lucky to have made contact with a Turkish woman who sells these direct from the manufacturer. Her English is a lot better than my Turkish but our email exchanges are difficult and I am often bemused by her answers to my questions.However, she sends me these gorgeous hand tools for the kitchen and I absolutely love them. They all grind beautifully and should last a life time.Two of them have receptacles at the base into which the ingredient is ground. A twist of the wrist removes the base and allows you to sprinkle it into your cooking pot.One is for finely grinding spices, the other is slightly coarser and is perfect for grinding oily grains and seeds, such as linseed.The pepper grinder for the table does not have a base and allows you to grind pepper directly onto your meal. The coffee grinder has an adjustable coarseness (and is not pictured) and a base. Doing this by hand allows you to grind the beans rather than cutting them (which an electric grinder does). This is similar to stone grinding wheat to make flour, rather than cutting the wheat to make flour (as in a Vitamix or Thermamix). Winter is a wonderful time to dream. I stop work at 4.30pm, bring in the evening’s firewood, get the fire raging then relax for a while. I like to either read something deep and mind bending or gentle and beautiful. I am always on the look out for new books to sell and right now I have some great winter reads. Lunch in Paris: A love Story with Recipes is a fun memoir by Elizabeth Bard about the unlikely liaison between an American food novice stationed in London and a gorgeous Frenchman who lives in Paris. On a more serious note is Chemical Free Kids: Raising Healthy Children in a Toxic World which begins by telling us about the chemicals routinely found in and on unborn children today. It is a vivid and important book for anyone with young children. Gut Feelings, by Dr. Peter Baratosy delves into the foibles of the conventional medical profession, the unrelenting pressure on our bodies of food processing and leads us to some very common sense but not commonly explained conclusions about gut problems in this modern world. If you are feeling not quite right inside, then this could be the book for you. Dr. Baratosy has recently moved from South Australia to Kingston in Tasmania and practices as a GP at the Kingborough Medical Centre. He and his wife are also regular customers of the Cygnet Market. Free Range Chicken Gardens leads you through some wonderful ideas for coops and yards, for growing plants that chooks will and won’t eat and gets you inside a chicken’s head! I make and sell two organic, raw mueslis. One is gluten free. Both are packed with all the organic, Australian freshly milled grains, pumpkin seeds, sunflower seeds, dried fruits and nuts that I sell separately. I assemble them every Saturday before the market so they are totally fresh, unlike anything you will buy anywhere else! If you have special requirements I can also make up supplies for you and your family. My winter preferred serving method is to soak the muesli overnight in some apple juice and in the morning add some of my special, organic, sun-dried peaches / apricots / pears + currants + Johnston almonds which have been soaked in water or apple juice and stored in the fridge. It all goes into the microwave to just warm through then I mix in a good dollop of kefir or home made yoghurt. YUM and I feel great all morning! 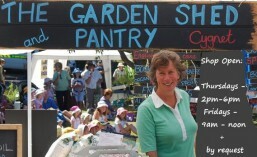 Whether you are interested in using a new ingredient, learning about a range of healthy cooking techniques, ancient foods for modern lives, vegetarian and vegan food ideas, understanding your gut, how to grow your own food or making a chicken-friendly garden, you will find something out of the ordinary at The Garden Shed and Pantry. or come to the Cygnet Market. 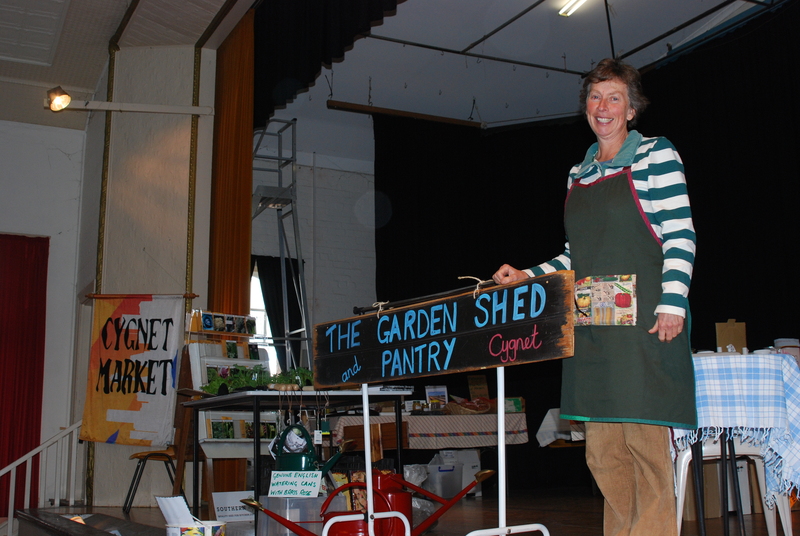 My market stall on the stage at The Cygnet Market is where I showcase almost my full range of Garden Shed and Pantry products. I guarantee that my products are fresh and I have a following of avid spice lovers who know to come to me for all their requirements as my spices are kept sealed and in the dark between markets. I also have yoghurt cultures and soon, milk kefir, when mine starts to multiply. English watering cans and best quality garden tools are my passion and I stock local seeds for growing the best vegetables in the Tasmanian climate. 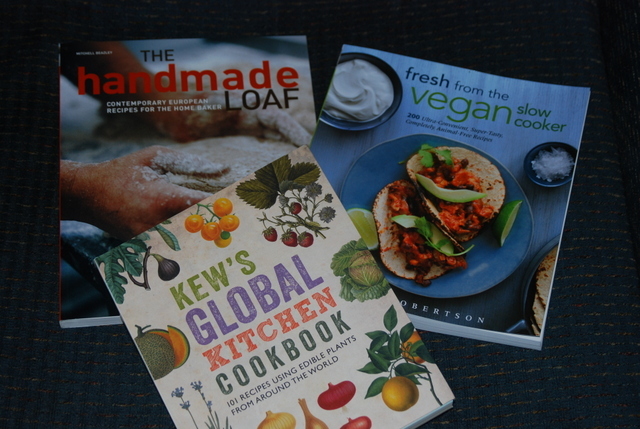 As well, I offer an eclectic range of garden and food books and Tasmania’s Clean Conscience eco-cleaning products. If you would like a 5kg bag of anything from my lists below, please send me an email and I will hold one aside for you as I only take a limited number of them and they sell quickly. Gluten free is a special interest of mine. The market is now one of the best in Tasmania not just for tourists but for those wanting to buy fresh, organic vegetables, fruits, breads, cheeses, wholefoods, dried fruits, olives, olive oils, eggs and coffee. Artisan cakes and pastries as well as Sally’s superb Chinese dumplings, fresh stir fries and savoury pancakes nestle into the hall with Ed’s perfect English pork pies and Cathy’s moist Dundee cake. Annie is a milliner and her hats are world class; all designed and made by her in Cygnet. You will also find an extensive and infectious collection of rocks, fossils and more from around the world, at Mike’s stall. Add to that the craftsmanship of local artists, sewers, photographers and card makers and you can soon see that Cygnet is the place to be on the 1st and 3rd Sundays, 10am – 2pm, all year round! Posted in Condiments, Cooking Books, Cygnet Market, Dried Fruits, Eco Cleaning, Food and Ingredients, Gardening books, Gardening Tools, Gluten Free, Honey, Nuts, Olives & Olive Oil from Patlin Gardens, Organic grains, Pasta, Products, Pulses, Spices, Vegetable and Herb Seeds, Yoghurt Cultures. Well, it’s now officially December. And it’s just a few weeks to Christmas. 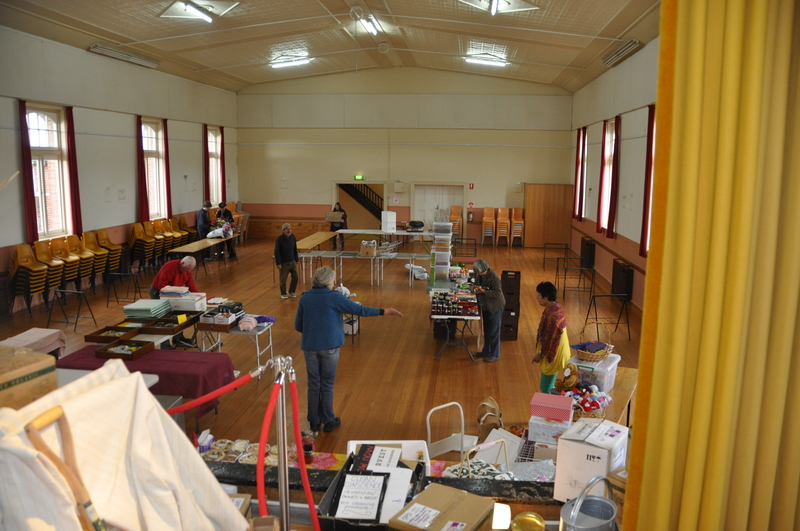 Avid market fans know that they need to be arriving early to get the best pickings…pretty similar to a garage sale really…. but this time, simply by buying something from our stall, early birds can have some free raspberry canes, dug from my garden a few days ago. They have been kept in a bucket of Seasol, in the shade and are bursting to get growing in your garden. What do we have this week? Organic Sprouting Mix, Dried Figs, Almonds and lots of other snack packs, marinated olives and olive oil (of course), and organic grains including Quinoa. For Christmas presents, we have gardening tools and beautiful watering cans (but not many left now). 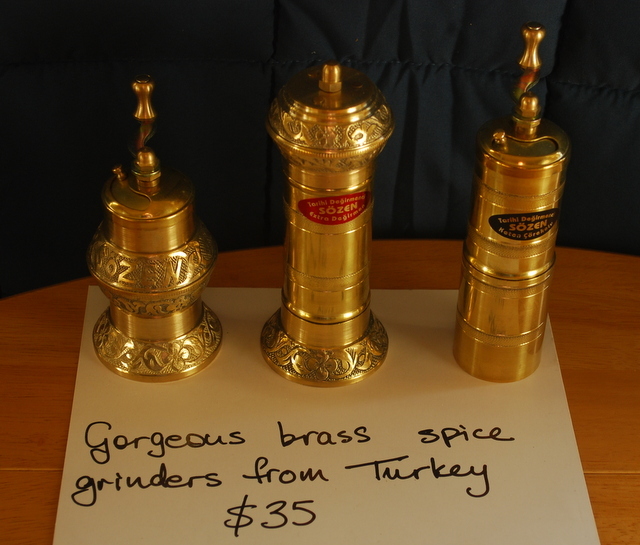 For the person who loves to cook, we have brass spice grinders from Turkey. It’s not too late to grab some MRO organic dried fruit for the Christmas Cake. Maybe we will still have a Panforte or two but they are disappearing fast! Welcome to GaSP stall at Cygnet Market. 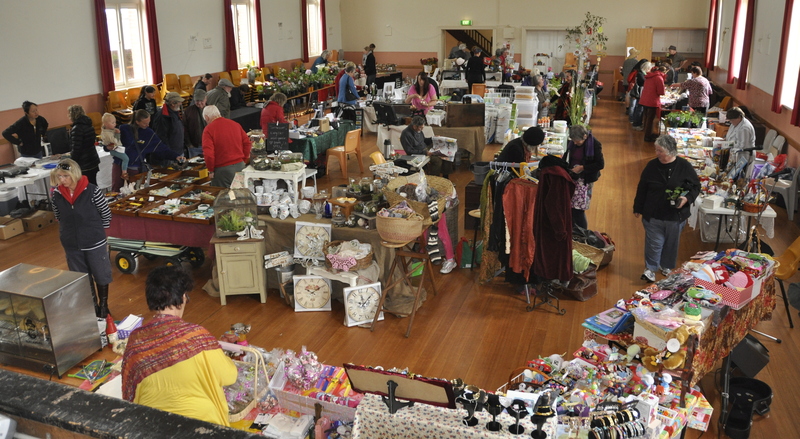 Anyway, by the time you read this, we’ll be on our way to the Cygnet Town Hall to set up and have another great market. Don’t forget it’s another DOUBLE Market. See you there folks! Here is a great book we have just come across that has everything you need to know about growing in Australia (and NZ). The publishers call it the definitive sourcebook for growing, harvesting and cooking. Over 600 pages of information on the different varieties of plants, cultivation, companion planting and culinary uses. There is even a few comments about the medicinal uses of each plant (and warnings if parts of the plant are poisonous). There are all the vegetables that you love and some that you probably have never heard of! There are almost 200 pages devoted to herbs – enough for a separate book. 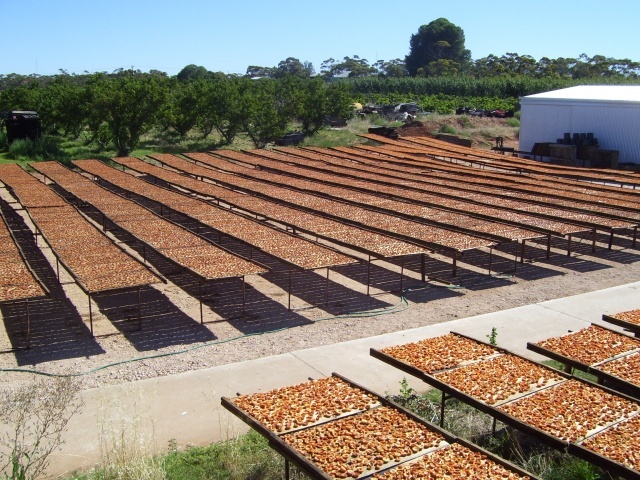 The fruit section is divided into orchard fruits, soft, bush and cane fruits and tender fruits. Tender fruits include melons, citrus, pineapples, bananas, mangoes, olives, passionfruit and kiwi. A separate section on nuts includes Johnstone’s Prolific and our local favourite, the Hazelnut. At the back of the book are small snippets on gardening, designing a herb garden and all sorts of useful information including weed and pest and disease control and harvesting and storing – a veritable garden full of information! 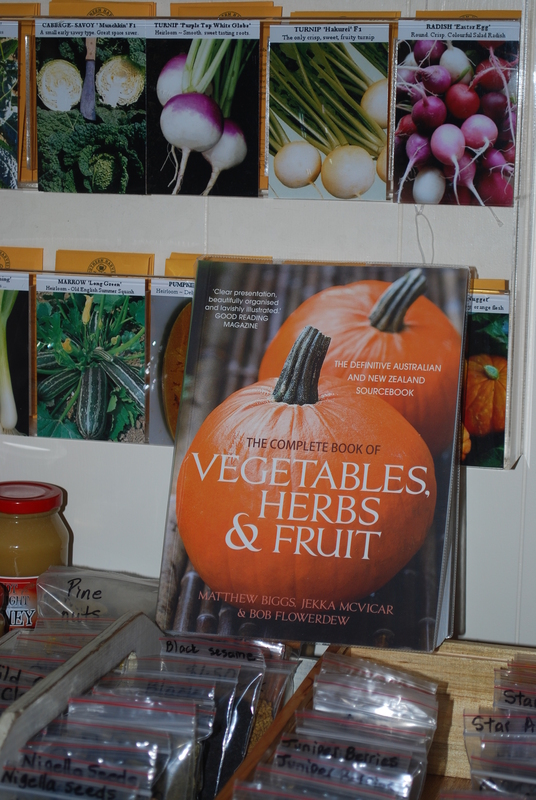 Get this and other great gardening books from the Cygnet Market or at the Garden Shed and Pantry, Cygnet.